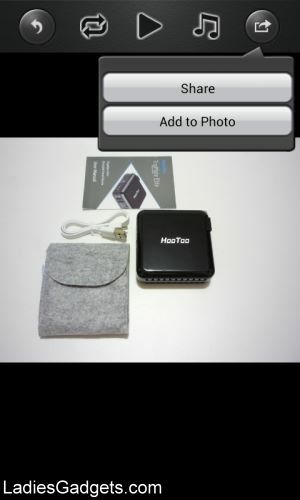 TripMate Elite by HooToo is a great device that packs five functionalities in a small form factor. 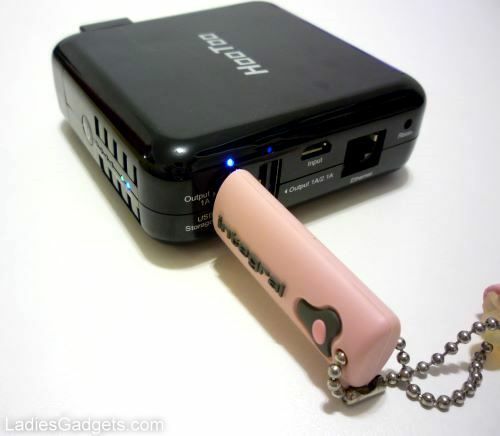 You can use it as a wireless router, personal cloud, bridge, portable charger, and USB-to-AC adapter. I call it a travel companion because it was designed with portability in mind – it’s lightweight, palm-sized, easy to use and enables wireless connectivity wherever you are. 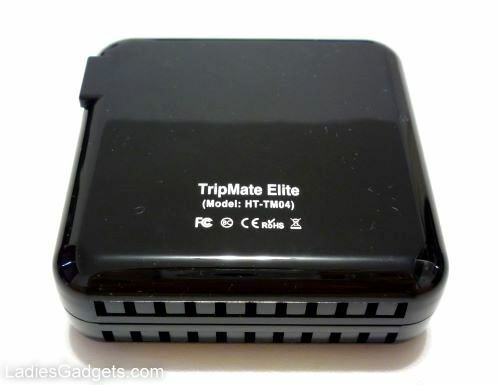 The main function of TripMate Elite is a wireless travel 802.11b/g/n 2.4GHz router. 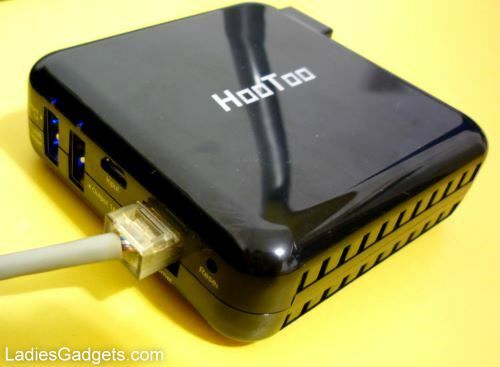 You can enable wireless Internet in a hotel room or at home by connecting the existing Ethernet cable to its dedicated port. 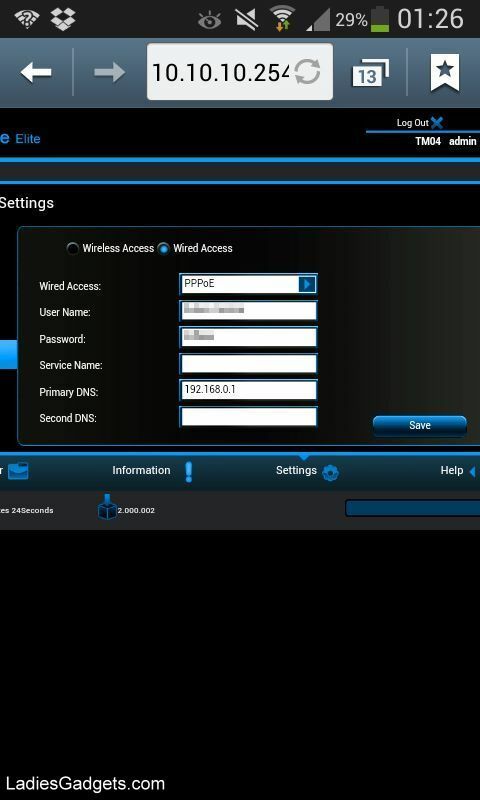 Next you need to configure the router by accessing its IP address 10.10.10.254 in the web browser on one of your mobile devices. 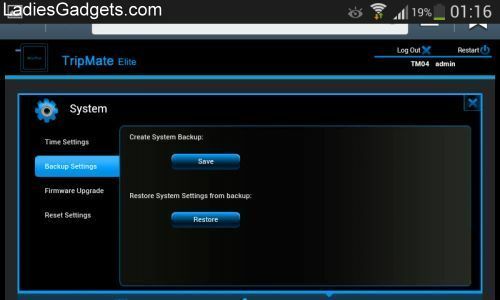 The configuration is done following the same steps as when configuring your home wireless router only that this time you’re doing it on your smartphone, laptop, tablet, or other device that supports WiFi. 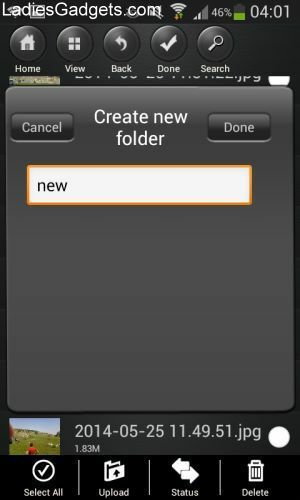 Another important function of the TripMate Elite is the personal cloud which allows you to share files from external storage devices, such as USB sticks or external HDDs, with up to five mobile devices (smartphones, laptops, tablets). 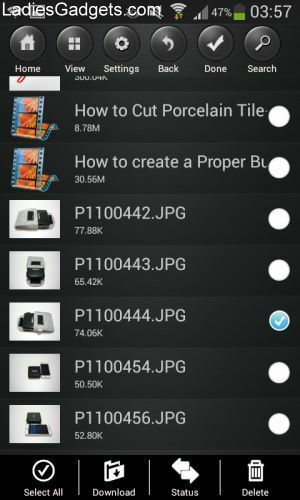 This is helpful especially for group collaborations, or when other family members need to access photos, videos and documents from different parts of the home. 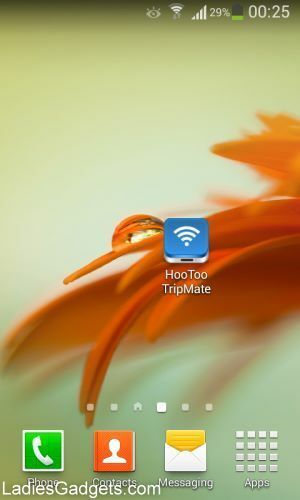 To do this you need to plug your storage device into the dedicated USB port on TripMate Elite and install the HooToo TripMate application on each of your Android or Apple device. 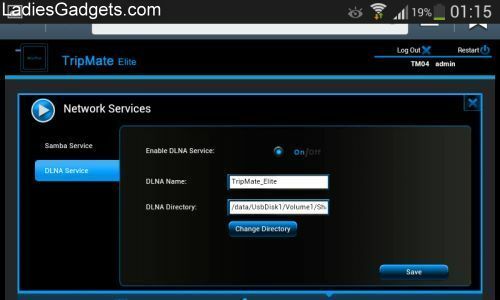 Next you need to access the list of available WiFi networks that show up on your mobile devices and connect each of them directly to the TripMateElite network. 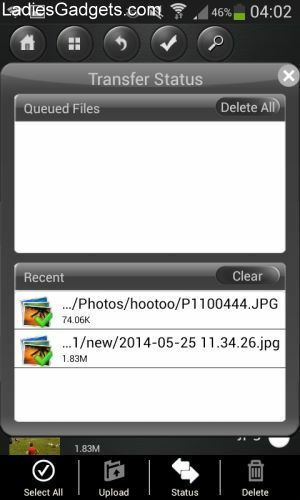 You can upload files from your mobile device to the storage device as well as download content from the storage device on your smartphone, tablet or laptop. 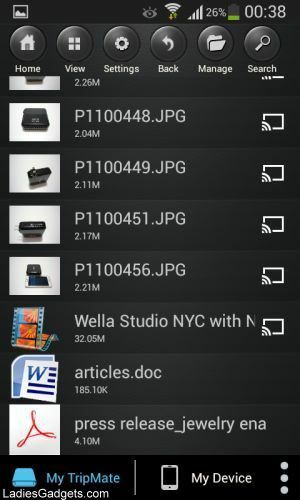 The connection to the TripMate Elite and the storage device connected to it is wireless, as well as the file transfers. 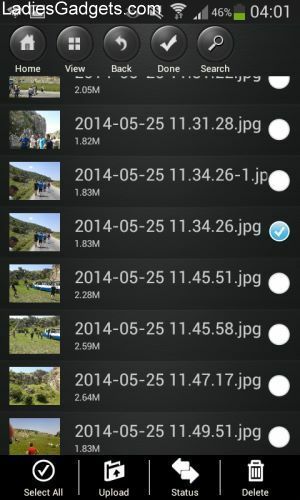 You don’t need to be connected to the Internet to do this. 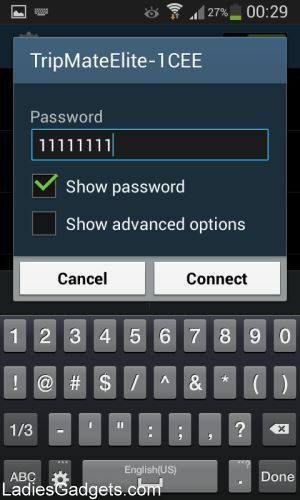 This feature is helpful especially for those who need to create a secured environment within a wireless network, like in a public place (bars, restaurants), or in your home. 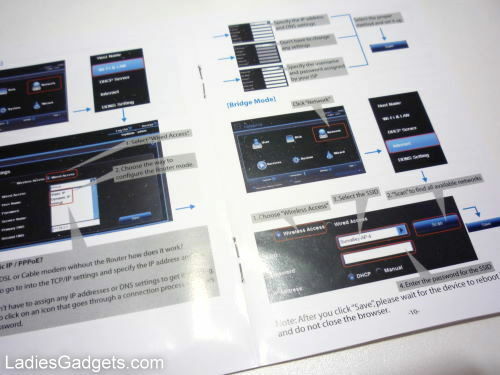 Bridging requires a few simple steps for you to follow. 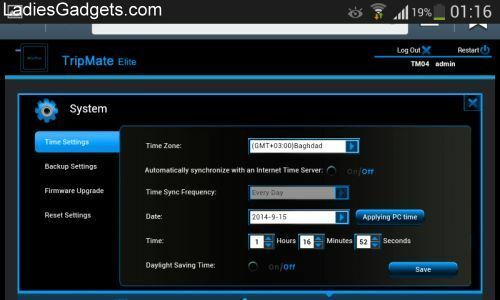 These include connecting the router to the existing wireless Internet connection through the configuration panel opened in the web browser on your mobile device, as well as connecting each mobile device that will access the Internet to the newly created network that shows up as TripMateElite. 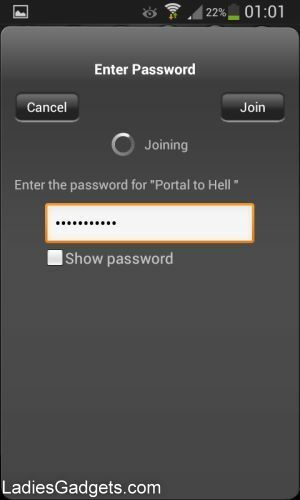 You would have two wireless networks created from a single one. 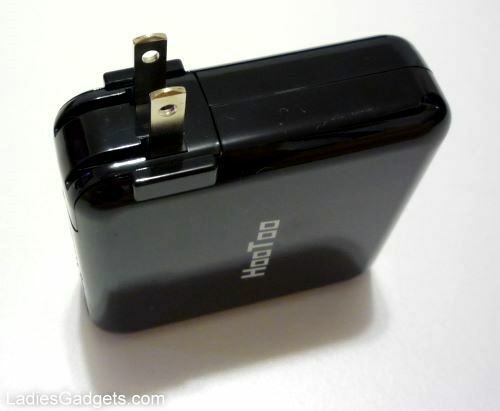 HooToo TripMate Elite also works as an external battery charger. 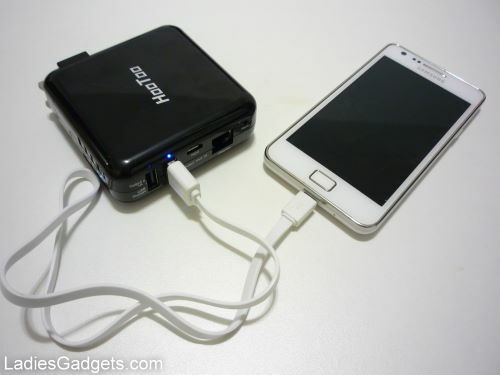 Its 6000 mAh internal battery charges your smartphone or tablet through the included mini USB-to-USB cable. 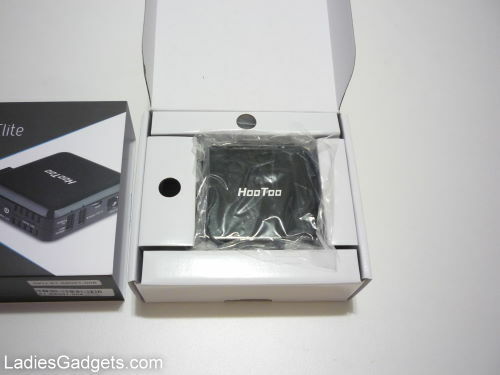 To give you an idea, HooToo tests showed that it can charge 2.62 times an iPhone 5, 1.51 times a Galaxy Note, and 0.54 times a Galaxy Tab 10.1. 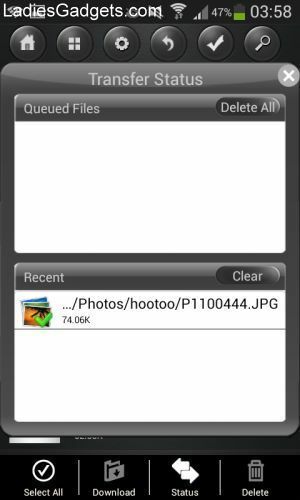 I recharged my Samsung Galaxy S2 Plus 1.75 times. 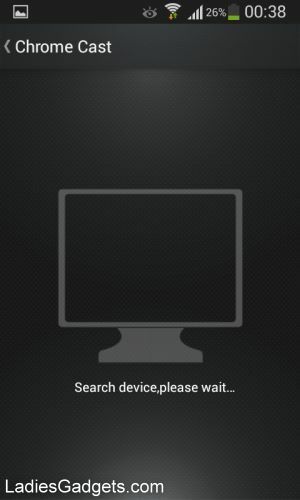 On TripMate Elite you can find two USB ports that you can use for charging two devices simultaneously. 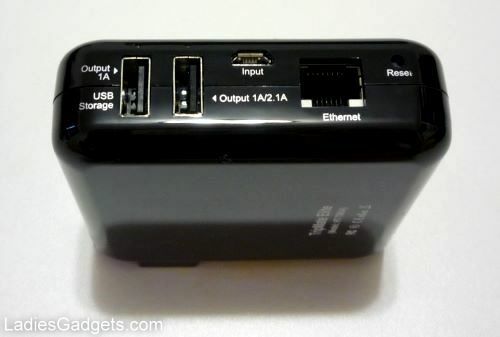 The 1.0A port is for USB storage devices and also works for charging, but the second port, 1.0A/2.1A, charges much faster. 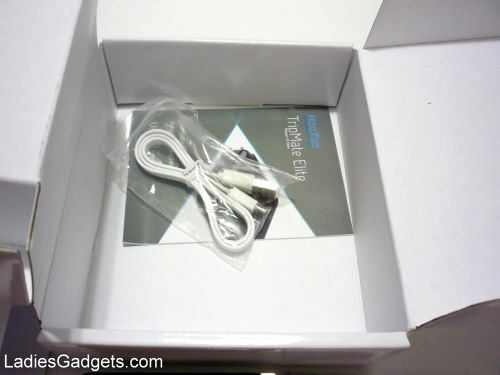 The device itself recharges within 3.5 hours through the folding wall charging plug. 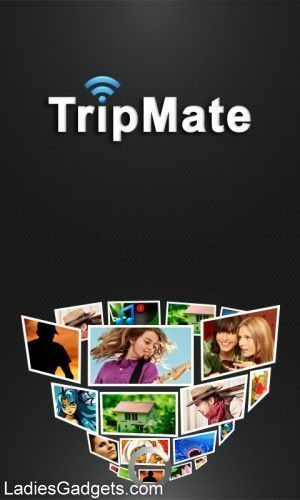 TripMate Elite has a US plug but if you’re outside US you can use an adapter. 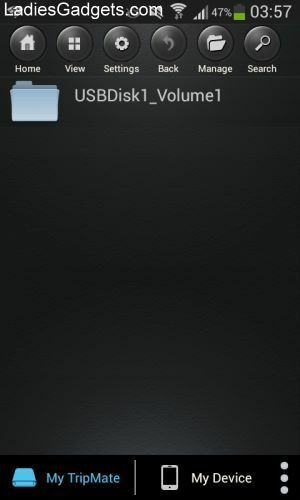 You can check the remaining battery level on TripMate Elite at any time. 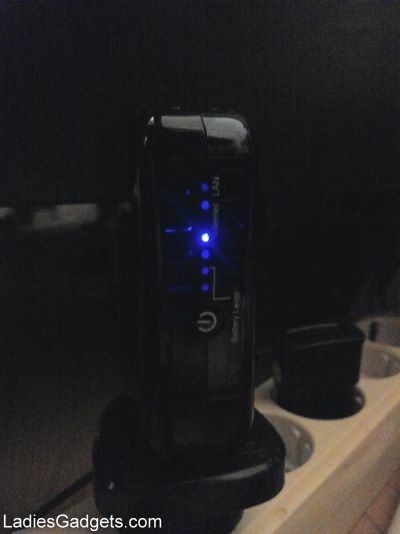 There are four blue LEDs on one side that indicate if the internal battery is 25%, 50%, 75% or 100% charged. According to the specs, the 6000 mAh battery lasts 7 hours of playing HDD files using an iPad, 11 hours in standby and 20 hours of operation in router mode. Instead of using two wall sockets, you can save one and recharge two of your devices simultaneously through the TripMate Elite. 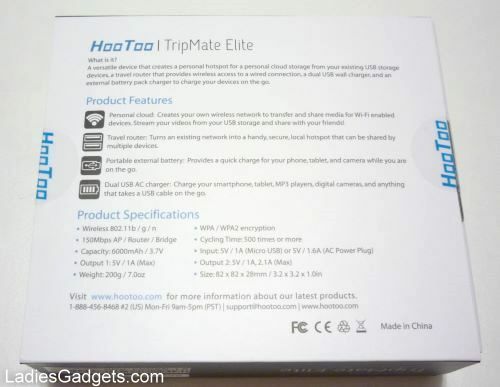 The two power outlets on TripMate Elite are USB ports so you can connect the mobile devices using their USB cables. 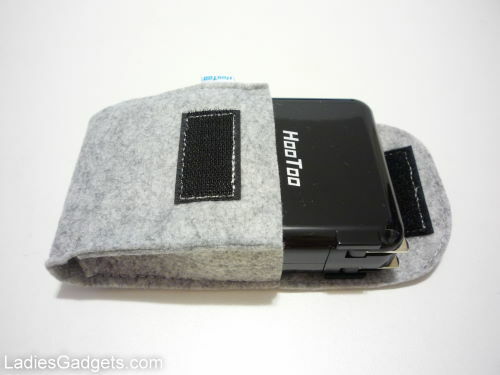 HooToo TripMate Elite comes in a nice carton box that slides out to reveal the router, a grey travel case, which I think it’s made of wool, the mini USB-to-USB cable, and the manual. The router has a nice piano black finish and rounded corners, measuring 3.15 x 3.15 x 1.02 in at 7.15 oz. 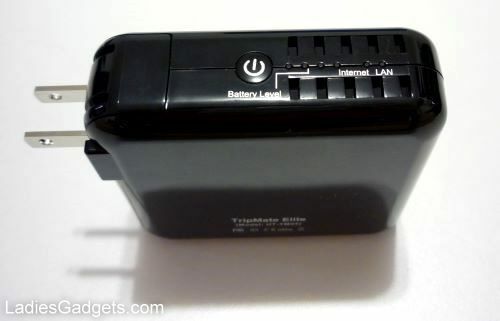 On the sides of the router you can find the folding US plug, the power button, LED light indicators for Internet and battery level, the two USB outputs of 1A and 1A/2.1A, the mini USB input, the Ethernet port, and the reset slot. 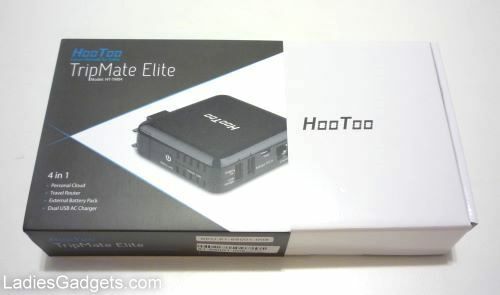 HooToo TripMate Elite HT-TM04 is available for purchase at Amazon and newegg for $59.99. 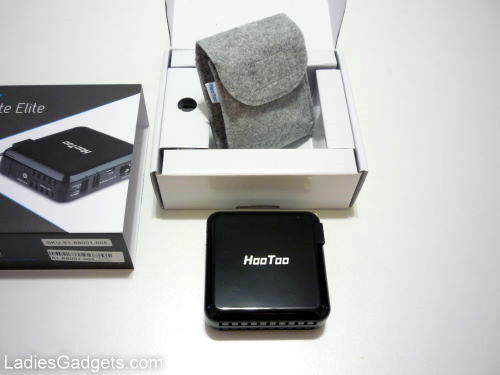 2 Replies to "Hands-on Review: HooToo TripMate Elite – Five-in-one Travel Companion"
It would work without my smartphone otg support? Yes. 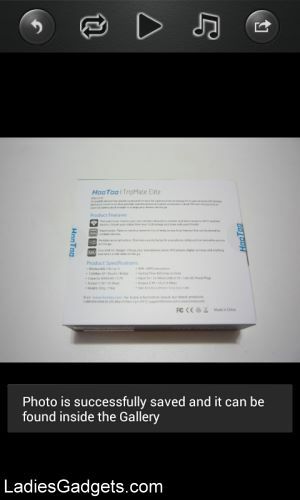 It supports wireless media streaming.